"Khong is a magician, and we are lucky to fall under her spell at the very beginning of her brilliant writing life." ―Lauren Groff“This novel sneaks up on you ― just like life . . . and heartbreak. And love.”―Miranda JulyHer life at a crossroads, a young woman goes home again in this funny and inescapably moving debut from a wonderfully original new literary voice.Freshly disengaged from her fiancé and feeling that life has not turned out quite the way she planned, thirty-year-old Ruth quits her job, leaves town and arrives at her parents’ home to find that situation more complicated than she'd realized. Her father, a prominent history professor, is losing his memory and is only erratically lucid. Ruth’s mother, meanwhile, is lucidly erratic. But as Ruth's father’s condition intensifies, the comedy in her situation takes hold, gently transforming her all her grief. 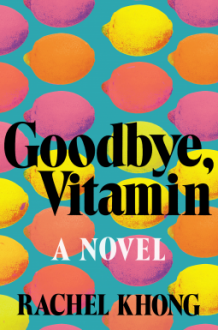 Told in captivating glimpses and drawn from a deep well of insight, humor, and unexpected tenderness, Goodbye, Vitamin pilots through the loss, love, and absurdity of finding one’s footing in this life.